Art Supply Virginia Beach » LOOKING FOR WORKSHOP ARTISTS! 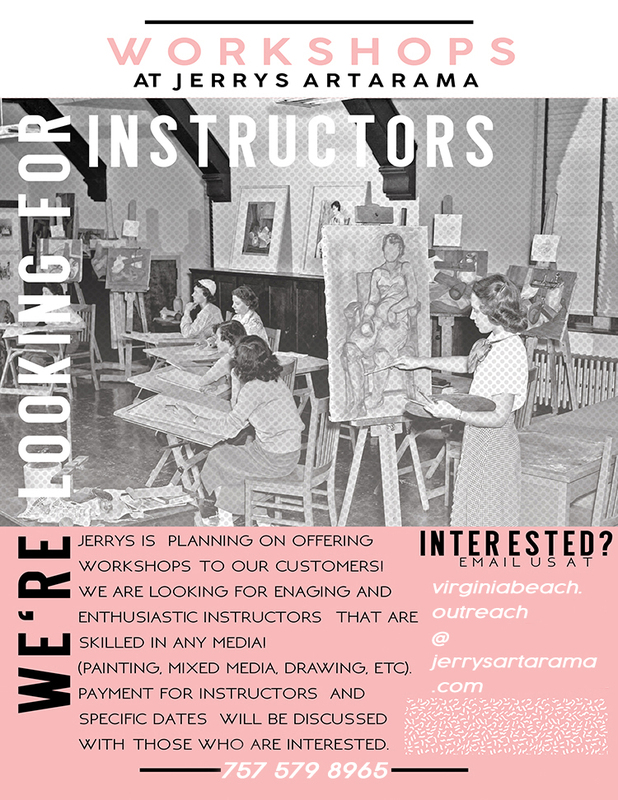 Jerry’s is planning on offering workshops to our customers! We are looking for engaging and enthusiastic instructors that are skilled in any media! (Painting, Mixed Media, Drawing, etc). Payment for instructors and specific dates will be discussed with those who are interested.